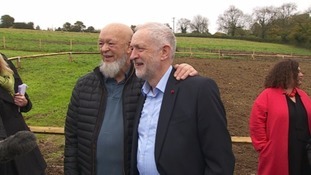 Glastonbury Festival founder Eavis' invited Labour leader Jeremy Corbyn to open the final stage of his landmark project. A man was arrested during the Glastonbury 2017 weekend on suspicion of fraud. He was found to be selling fake festival wristbands at Castle Cary station in Somerset. This year’s Glastonbury Festival had one of the lowest levels of crime. Avon and Somerset Police's current figures show that reported crime is likely to be as low as last year, which had the smallest amount of crime at any previous festival. "Firstly, I want to say a huge thank you to everyone who attended this year’s festival – your support and friendliness towards my officers and staff was phenomenal." "The festival goers’ reaction to our policing operation and style was incredible – my teams were overwhelmed by the positive response they got." "We work incredibly hard with the event organisers and security teams each year to make sure we have everything covered and this year is testament to how well we work together." "We can’t wait to see you back on the farm in 2019." Renewable energy firm Pure Planet says that Glastonbury goers could use nearly 200 megawatts of power when they return home on today. After hundreds of thousands enjoy the festival, now it is time for an army of cleaners to arrive and clear up Worthy Farm. The band dedicated their song Everlast to fan Laura Plane, who died from breast cancer last month. Jeremy Corbyn's visit has been one of the big talking points of another busy day at Glastonbury. The actor Johnny Depp has apologised for joking about assassinating US President Donald Trump during an appearance at Glastonbury Festival in Somerset. The Hollywood star made the comments while speaking at a drive-in cinema at Worthy Farm on Thursday night. In a statement issued to People magazine, Depp said: "I apologise for the bad joke I attempted last night in poor taste about President Trump. It did not come out as intended, and I intended no malice. I was only trying to amuse, not to harm anyone." Greenpeace is taking people on a visit to an Amazon tribe, all while sitting in a field at the Glastonbury Festival. The world-famous footballer has made Glastonbury Festival his first at the age of 42. He is looking forward to seeing Radiohead.